Jeremy Irons will attend the 2014 Blue Ocean Film Festival in St. Petersburg, Florida, to screen his film Trashed, as the festival’s closing night special presentation. The Blue Ocean Film Festival and Conservation Summit takes place from November 3 – 9, 2014, in St. Petersburg, Florida. Jeremy Irons will be at the Tiffin Boys’ School in Kingston-on-Thames, Surrey, on Friday 18 October 2013, at 7:30pm, for a special showing of Trashed. He will be taking questions from the audience after the film. The event will be hosted by north Kingston and Richmond Park MP Zac Goldsmith. The event is free but tickets will be allocated on a first come first served basis. Read the press release on Zac Goldsmith’s website. In the 1995 movie “Die Hard: With a Vengeance,” Jeremy Irons was pure evil as an urbane and elegant bad guy. As Simon Gruber, he terrorized pre-9/11 New York City, practically in the shadow of the still-intact World Trade Center towers. Scary stuff . . . but it’s nothing compared to Jeremy Irons’ latest film. In the new documentary “Trashed,” Irons shows us the terrifying possibility of a future world buried in its own garbage. “After doing the documentary, how conscious are you, when you walk down the street, of trash?” asked Smith. Where, indeed? In Indonesia, garbage goes in the nearest river, and eventually out to sea. Worldwide, according to the film, Americans could recycle 90 percent of the waste we generate, but right now we only recycle a third of that — and some of our trash eventually finds its way back into us — such as plastics leeching into our food supply. It’s weird to see an Oscar-winning actor rooting through trash cans in New York City’s nicest neighborhood, but for Irons, garbage has become, well, personal. “You have no hesitation to just pick through the trash, Jeremy?” Smith asked. “Celebrities get asked to be involved in a lot of different causes; what was it about trash that made you say, ‘I have to do something’?” asked Smith. “I wanted to make a documentary about something which I thought was important and which was curable,” he said. “It’s not rocket science. It takes a little effort, it takes a little thought. It takes a little education. I think most people want to do what is right. But they need a bit of organization. 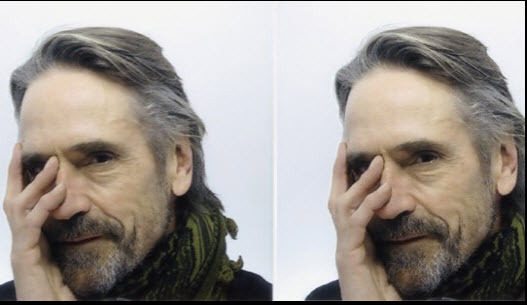 It might not be easy to picture Jeremy Irons as a garbage activist: From his breakout role in 1981’s “The French Lieutenant’s Woman,” he has been in more than 40 movies, at least as many plays, and has won just about every acting award there is. “I’ve been very lucky,” he said. “You have a slew of awards that would say you got some talent,” Smith suggested. Well, he’s good at something. 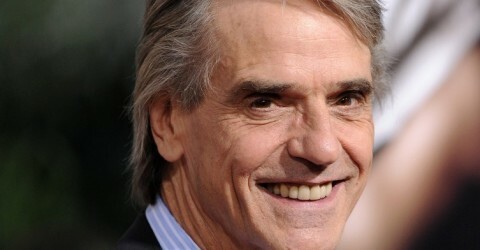 Born in England in 1948, Jeremy John Irons trained as a stage actor before breaking into film. He’s been married to actress Sinead Cusack since 1978, with whom he has two sons. But on-screen he hasn’t always been such a devoted husband. In 1990’s “Reversal of Fortune,” Irons was cast as socialite Claus von Bulow, accused of trying to kill his rich wife by giving her an overdose of insulin. “Did you love getting in Claus von Bulow’s head?” Smith asked. Glenn Close was right: the performance earned him the Oscar for Best Actor. Irons’ Claus von Bulow is a saint compared with his current role in the Showtime series, “The Borgias.” Irons is Pope Alexander VI, a man of many passions. Off-screen, you might say Irons has become the unofficial pope of recycling — and, in what may be his most important role yet, an elegant and refined voice of caution. “And gloomy future,” Smith added. “Well, the sun will still shine,” Irons replied. Jeremy Irons was interviewed on Joy Behar’s show “Say Anything!” on the Current television network, on Thursday 13 December 2012.